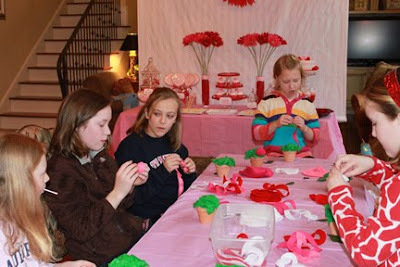 So the kids played some Valentine's games and they made a little felt rose craft to take home, and they of course, ate their weight in sugar-laden sweets. 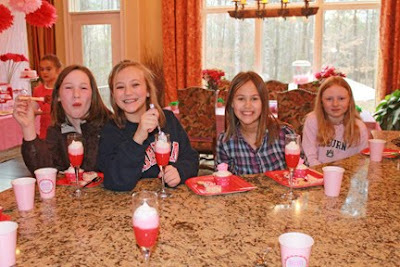 It was fun and a great reason to celebrate with just girlfriends..... who really needs those boys on Valentines Day anyway??? Kidding, Jonathan. Love you. 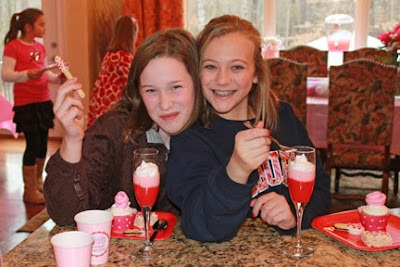 M&M Sweet Shoppe for Madison & Macy.... catchy, huh?? Wow!! Looks fantastic, I am sorry I didn't make it over there to see. 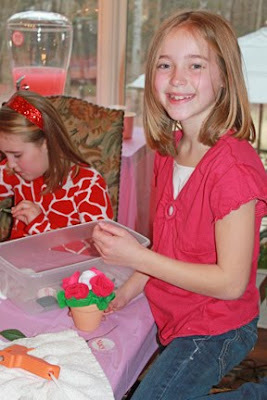 I was so gross on that day plus trying to get ready for Kate's bday (not that there was much to do, but you know me). Thanks so much for sending Kate THE cake. She was so excited!! It is beautiful and we will eat it today. OH my goodness! I just gained weight looking at all that food! It looked soooo good! I am blown away!!!!! You should be in Hollywood planning fabulous parties!!!!! The photos turned out amazing - perfect!!!! What a festive party. 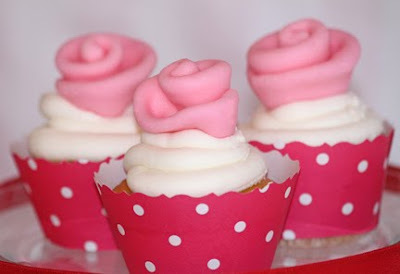 Now I'm in the mood for Valentine's Day!! Everything is just perfect. You thought of every detail! Great job! What an amazing job you did and such great memories that will come of it!! 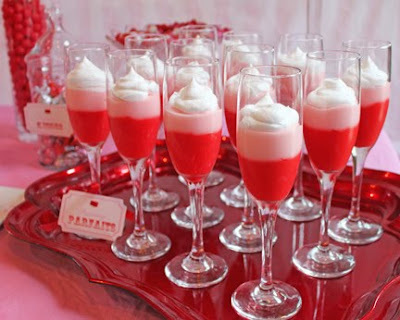 I'm in the mood to plan a Valentine's party now!! 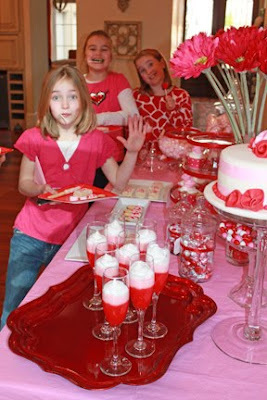 I always love your parties when I see them featured around the blogiverse but this is my favourite! Oh wow! You did an excellent job!! Wow. Thats all I Can say. You know how to throw a party!! Come throw me a birthday party?? New follower now for sure! 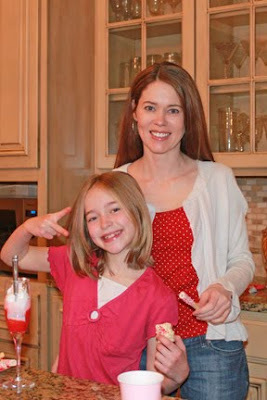 Great party - I wanted to let you know I featured it on my blog today! 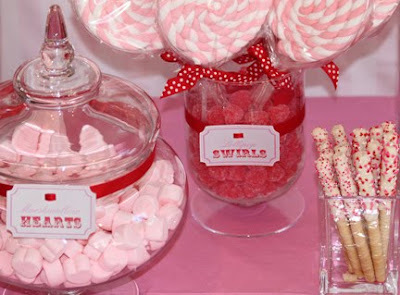 What a fun party and great ideas! Thanks for sharing. Visiting from a linky party. 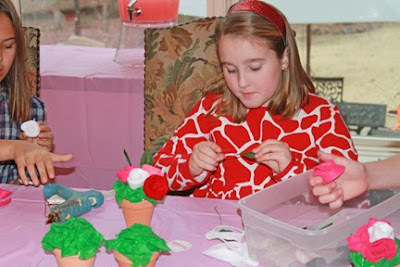 Loved your party & those cute felt flowers in pots! WOW! Very impressive. 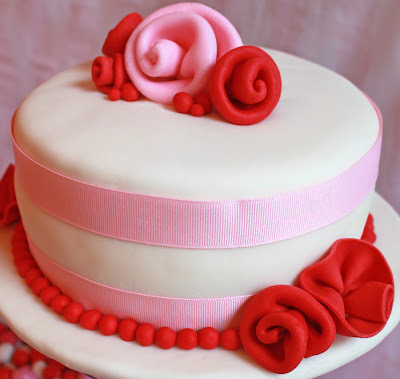 Love it all, especially the cake:) Your fondant roses are beautiful! 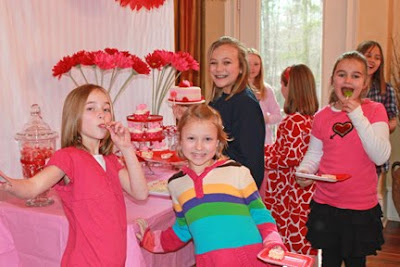 What a fun party, and it looks like the girls had a blast. You're absolutely AMAZING at decorating for parties! You've given me so much inspiration! 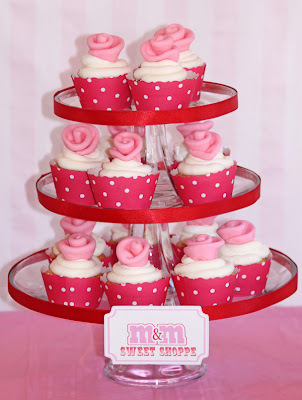 I'm throwing a baby shower next month and you gave me some really cute ideas! Thanks so much! Also, where on earth did you get that stand that the cake is on? I LOVE it! Is it actually a cake stand? Oh my... I LOVE the whole thing! You did a great job! So so cute! And it all looks YUMMY! So sweet! 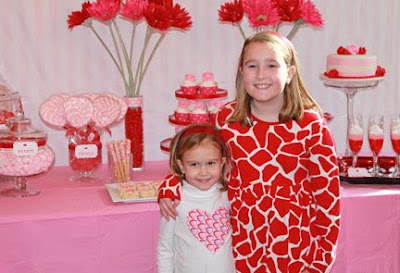 Love all the little touches - my 2 girls are begging for a Vday party now. :) Shared on our FB wall today. Thanks for all the inspiration! AWESOME!!!!! 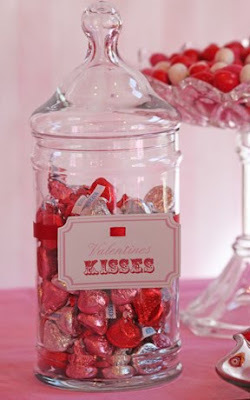 I am going to use some of these ideas for the group home I work for! Just wonderful!!! Oh my goodness! What a wonderful party! Everything's so pretty. I'm really glad I found your blog. Everything is so cute and cheery here! Wow, everything looks great! 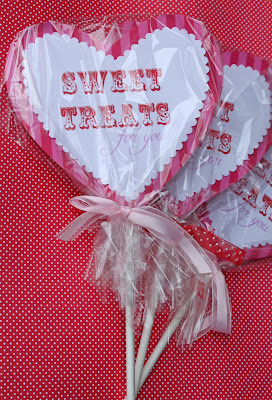 I especially love all the wonderful treats and the craft vase! Oh yum! Everything looks AMAZING!!! I am your newest follower! I love your great ideas! Also, I host a Friday link party if you are ever interested in joining up, I'd love to have you! So many great ideas over here!!! 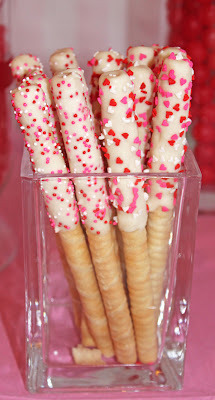 Those cookie sticks look so good, & everyone looks like they had such a nice time. I love looking at party blogs. I have yours in my list of favorites. I come over here ever so often. This is my first time commenting. 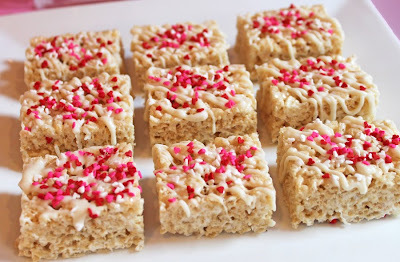 Those rice krispie treats look cute. I might just have to do that for my little girl's upcoming birthday. WOW!! That looks like a seriously intense party! You did a great job! How do you make the parfaits? 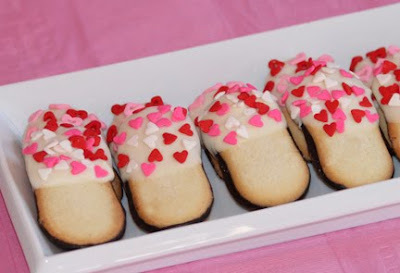 I am going to do this for my girl scout troop. I want to say thanks for publishing your best messages collection on VALENTINE DAY, VALENTINE DAY IMAGES, HAPPY VALENTINE DAY, VALENTINE DAY QUOTES, VALENTINE DAY SMS Good luck and keep it up. What a wonderful and beautiful party you arranged. You really did a great job. 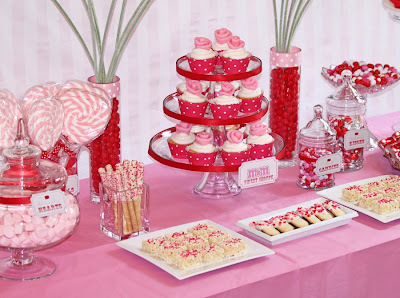 Everything looks amazing and wonderful, it might be cupcakes or the name of the candy table. 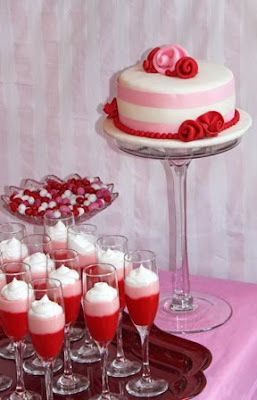 But especially I like most the Valentine's Day Special Heart Shaped Cards and the fondant cake.